In today’s tech-connected world, online shopping (and selling) is about as commonplace as running to the grocery store. With online tools at your disposal, you may be wondering… should you sell items online for extra cash, or head to the pawn store instead? In today’s blog, we’ve got the answer! 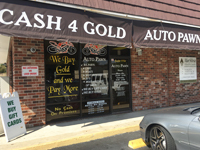 Take a look below to see some of the biggest benefits of working with Auto Pawn (as well as some of the times you may choose the online route!). When you’re interested in selling a piece of jewelry or collectible, arriving at a good sale price can sometimes feel like a shot in the dark. You might be the owner of the item, but that doesn’t make you an expert on the market! Fortunately, you don’t have to be. 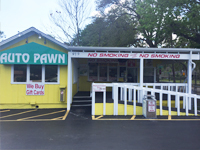 At Auto Pawn, our experience in buying everything from jewelry to coins to unused gift cards ensures that you get the best price possible for your item. On the other hand, maybe you don’t want to actually sell your item—you just want some cash for the short-term. 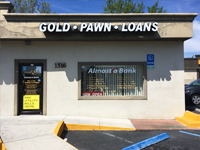 While it’d be impossible to sort out a pawn loan via online shopping sites, we can make it easy for you: bring in your item, receive a cash loan, and pay it back on a timetable that works for you. This last benefit is a no-brainer. When time is of the essence, you don’t need to wait days or even weeks to sell and receive payment for your items. The in-person experience at Auto Pawn ensures that you don’t waste any time along the way! Of course, there are some times when you might prefer the online option. Maybe you’re selling homemade crafts, for example, and want to start up an online shop. Or you have smaller-ticket items you want to get off your hands. However, if you’re ever unsure, call or visit Auto Pawn—we can let you know the next steps to take, and we’re always happy to help!